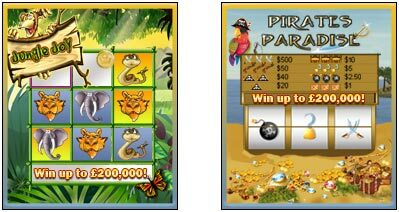 Hopa Mobile have just added Jungle Joy & Pirates Paradise to their suite of 10 exciting mobile games! Sign up with Hopa on your mobile and get a £5 free bonus. Get your fingers sticky with the latest iPhone, Android & Mobile slots game from LadyLucks: Sweet Treats! 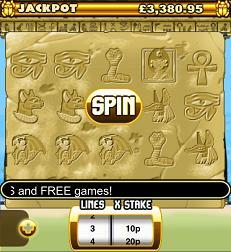 The Pharaoh’s Fortunes are up for grabs in this dazzling mobile slots game from LadyLucks! Disco Dollars is a brand new mobile slots game from LadyLucks Mobile Casino. Ladylucks have just released Reindeer Readies – a Christmas themed mobile slots game. Journey under the sea with Poseidon, the Greek God of the sea, to seek your fortune. This 5-reel mobile slot by LadyLucks is available on all mobiles including the iPhone! 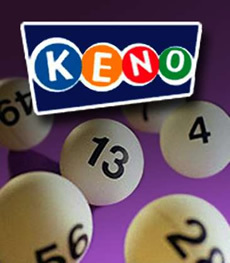 Keno is a game that has provided excitement and endured for thousands of years, and now with modern technology you can play this ancient game on your mobile thanks to the Wild Jack Mobile Casino! Sink the fleet of ships, and take the jackpot back to shore with LadyLucks’ Battleship Slots! Win up to £150 per line in this official 5-reel Battleships game for your mobile! It’s Roulette at the LadyLucks Mobile Casino! Place your bets, and watch the wheel spin on one of the most exciting mobile roulette games out there. Available on ALL mobiles including Android and iPhone! Pub Fruity is a mobile slot that has all the traditional games plus two exciting bonus rounds that make this one a little special. With Pub Fruity, you can drop into your neighbourhood pub, down a few pints, throw some darts and then win a few jackpots.